When Vicki and Craig Leuthold decided to build a destination winery in the eastern Columbia River Gorge they never imagined the degree of critical acclaim their Goldendale, Washington Maryhill Winery would achieve. Founded in 1999 Maryhill’s hallmark is the team’s close attention to detail and the use of a wide variety of grape varietals to craft affordable and approachable wines from some of Washington’s most acclaimed vineyards. Under the direction of Winemaker Richard Batchelor, Maryhill Winery offers the expected classics such as Cabernet Sauvignon and Chardonnay. Additionally, other varietal surprises find their way into Maryhill’s offerings including Barbera, Sangiovese, Grenache, Mourvédre, Tempranillo and Malbec. Batchelor works closely with the dozen or more local growers to collaborate on growing practices and visits each vineyard throughout the growing and harvesting season. He notes that a major factor in what comes out of the bottle is what is delivered from each vineyard. This attention to detail is pointed to as the determining factor why Wine Press Northwest tapped Maryhill Winery as the Pacific Northwest Winery of the Year for 2015. This honor was another notch in Maryhill’s belt, having been awarded more than 3,000 awards since 2001 when the winery opened. Other marquee awards Maryhill claims include the 2014 Winery of the Year award at the San Francisco International Wine Competition, one of the most prestigious international competitions in the United States. Another is being cited as being among the World’s Top 10 Wineries by the World Association of Wine Writers and Journalists that same year. The critical acclaim has to rest in Maryhill’s final product — quality wines. Individual selections from Maryhill Winery have also been spotlighted by noted wine judges. The winery’s 2012 Painted Hills Vineyard Tempranillo took 5th place and the 2012 Sugarloaf Vineyard Tempranillo was awarded 12th place at Wine Press Northwest’s 2015 Northwest Tempranillo Judging. In 2014 Maryhill’s 2011 Marvell (“GSM”) was dubbed 2014 Wine of the Year by Great Northwest Wine. Maryhill Winery is the 10th largest winery in the state. Production is more than 80,000 cases annually, distributed in 25 states. However Maryhill keeps quite a bit at home, selling more than 20 percent of its wine direct to consumers. That is no small wonder. 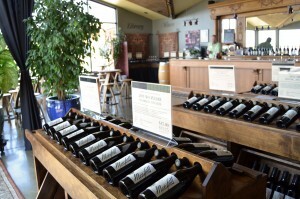 The winery’s Goldendale, Washington tasting room is relaxing and seductive. 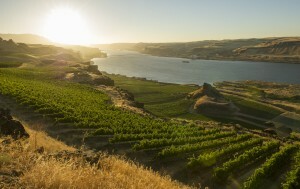 Located on a bluff overlooking Gunkel vineyard, one of the state’s oldest and most established vineyard sites, there are sweeping views of the scenic Columbia River Gorge and panoramic vistas of Mount Hood. Guests are introduced to the Leuthold’s selections while sipping their wines as live music wafts across the Tuscan-style terrace. One great way to experience the best of Washington State’s wines. The winery’s hospitality is extended to more than 75,000 guests from around the world every year. Stop by Maryhill Winery’s display at the Seattle Food and Wine Experience and experience for yourself the breadth of selections and the depth of quality coming out of the Columbia Gorge. Offerings being presented include the classics 2015 Pinot Gris, 2011 Syrah and 2012 Cabernet Sauvignon, alongside 2015 Rose of Sangiovese, 2013 Grenache.